Today, World of Tanks Supertest received three more HD maps to be tested. But aside from the new awesome graphics, what changed? Already tested on Sandbox but received a few changes in order to correct imbalances and added more cover positions to make the right flank more playable for both teams. This is the first time we see this map reworked into HD. In addition to visual changes, some rebalances were done to the map. 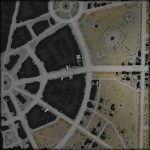 At the moment the North base more chances to win the game due to better positions, to address this some changes were done to the southern area of the map at G1, F7 and E6. Yet another great map reworked into HD and together with the new visuals, a lot of rebalancing work was done. The central village was changed to make it more playable and to make the left flank more playable to both teams. To achieve this, the valley on the left flank now has more cover so both teams can use it to push the other team. The central area of the map has now different cover positions and is now more open, allowing scouts to be more useful in that area. Altogether, these maps look amazing and we can’t wait to be able to play them. 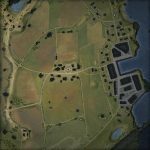 The rebalance changes done to each map are needed, and I’m glad Wargaming is taking this opportunity to do these so much needed changes. It’s great how finally the maps will get a much needed rebalance with the HD update, I just wish they’d balanced the maps right in the first place… This HD update can’t come any sooner. Possibly named 10.0? I’d say most likely. I don’t see how that changes map metas, the spotting system is the same, arty’s shell trajectory is the same… Only problem that comes to mind would be faster light tanks and the swedish TDs and them boosting into places unreachable for most other tanks. I’ve been on the sandbox for the new maps when it was available a few months ago, there are a LOT more bushes on the fields, it’s a straight buff to light tanks, which is not necessarily needed but will help with a lot of the personal missions, and allow the light tanks to actually spot now instead of running around and dealing way too much damage. I wonder what it will change for the sneaky TDs, will they be even sneakier? Forgot to mention, boosting spots were removed from the HD maps, a good thing. I wish they could enable boosts just for training rooms. That is a fun timewaster in the proper place.